Whether you are looking to provide your students will some healthy competition, performance experience or just a fun excursion into the world of the performing arts, Atlanta has a venue perfect for you and your crew. From seasonal festivals to theaters that have stood the test of time, Atlanta is a hidden gem in the world of performing arts. The city offers plenty of chances for your students to perform and receive feedback from experienced professionals in the business which will provide them with an invaluable educational experience. Long after the trip is over, your students won’t be able to stop talking about the memories they made performing together or watching Broadway and Grammy-winning professionals in some of the most beautiful and historic performance venues in America. Whether your students are destined to become the next John Mayer (whose music career took off in Atlanta) or prefer to keep their passion for performing as a hobby, they are sure to leave Atlanta inspired to chase their dreams, whatever they may be. If you are planning on taking your musically inclined students on a trip to Atlanta in the spring, you are in luck. Every weekend from the middle of March to mid-May, bands, choirs, and orchestras get the opportunity to show off their musical skills at the Southern Star Music Festival Atlanta, GA. The Riverside EpiCenter located right next to Six Flags Over Georgia serves as the perfect location for instrumental and choral groups to perform. Your group will have the option to perform two or three works which are then scored as either GOLD, SILVER, BRONZE OR BLUE by three experienced judges. To further improve your student’s performance skills, immediate feedback from some of the nation’s top instrumental and choral directors will follow their performance. After they are done showing off their skills, students can head over to Six Flags Over Georgia where a Festival Awards Ceremony and Fun Day will be held. Based on their performances, each group will be considered to win the Southern Star Sweepstakes trophy which will be awarded to the group with the highest score. However, nobody will go home empty handed. Each group will receive a memento to remember the trip by in the form of a trophy which will be handed out on Saturday night at the Awards Celebration. Performing a musical arrangement at the bottom of the ocean may be impossible, but the Seaside Sounds: Group Performance Venue Program at the Georgia Aquarium will make your students feel like they are doing just that…without the waterlogged instruments of course. Not only is the Georgia Aquarium an amazing place for your students to spend a fun-filled day, it also welcomes bands, orchestras, choral groups and dance groups to experience the thrill and excitement of displaying their skills to the aquarium guests and several thousand species of marine animals. With over 10 million gallons of both fresh and marine water to house more aquatic life than any other aquarium, the Georgia Aquarium is one of the largest aquariums in the world and undoubtedly the most magical. Students are sure to be inspired by the beauty of deep sea creatures like beluga whales, whale sharks, exotic fish and dolphins before their performance for an unforgettable experience. Opportunities to perform amongst these marine animals are available year-round from Monday through Saturday. For more information on specific performance times and availability, the aquarium welcomes you to call their number, 404-581-4121, or email them at groupsales@georgiaaquarium.org. Schools throughout the Atlanta area have relied on the Atlanta Symphony Orchestra to educate and inspire students with their music programs. Now it is your turn. As the leading cultural organization in the Southeast, the Atlanta Symphony Orchestra serves as the foundation for music education and artistic development in the area, engaging over 400,000 students from elementary school to high school in educational musical programs. At the Atlanta Symphony Orchestra, watching the professional musicians command the stage will give your students a glimpse into what hard work and dedication to performance arts can lead to. As one of America’s leading Orchestras, it is known for its breathtaking live performances as well as its award-winning recordings. The success of the establishment is apparent as 27 of the 100 recorded albums have won Grammy Awards, including Best Classical Album and Best Orchestral Performance. However, the Atlanta Symphony Orchestra is not just known for its acclaimed orchestra, it is also praised for its choral group which includes 200 volunteer singers. This Grammy-winning choral group has become well known for their expressive singing and precision. 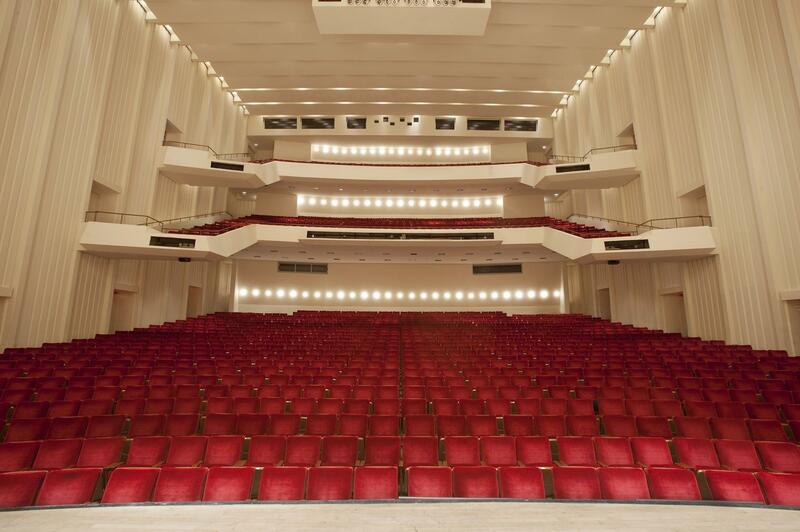 With over 200 concerts being performed each year, a visit to see the Atlanta Symphony Orchestra is a must on your next trip to Atlanta. With a love for music, performing and the arts, your students will surely appreciate one of the most beautiful and historic performance venues in Atlanta. 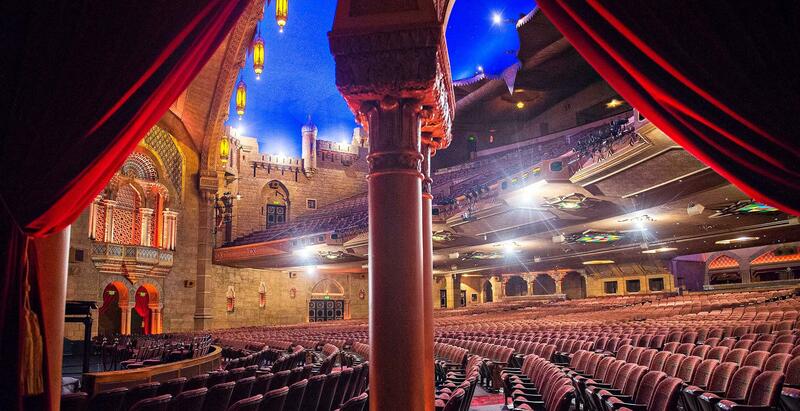 At the Fox Theatre, your students will be treated to a venue that is just as interesting as the amazing shows performed inside of it. For nearly a century, the beloved theater has featured timeless Broadway shows, ballets, operas, music and movies which continue to attract multiple generations of theater lovers. Built in 1928, the theatre has gone through its fair share of obstacles before becoming the beautiful performance art venue it is today. From debt to foreclosure to fire and bankruptcy, it is a wonder that this historic theatre went on to host performances by the Metropolitan Opera Company and pop legend Nelson Eddy. Inspired by the ancient temples of the Far East in the theatre’s ornate design, the 250,000-square-foot structure will make your students feel like the stars they may one day become the moment they step through the grand Arace entrance, complete with a red-carpet. As they continue their journey through the historic theater, they will be greeted with beautiful sights like stained glass windows, elegant archways, domed ceilings and “Mighty Mo”, a 3,622-pipe Möller organ which reigns as the largest Möller theatre organ in the world. If you want to give your students the full Fox Theatre experience, we suggest taking one of the 60-minute tours lead by Fox employees who are eager to share their knowledge about the theatre’s past, present and future. 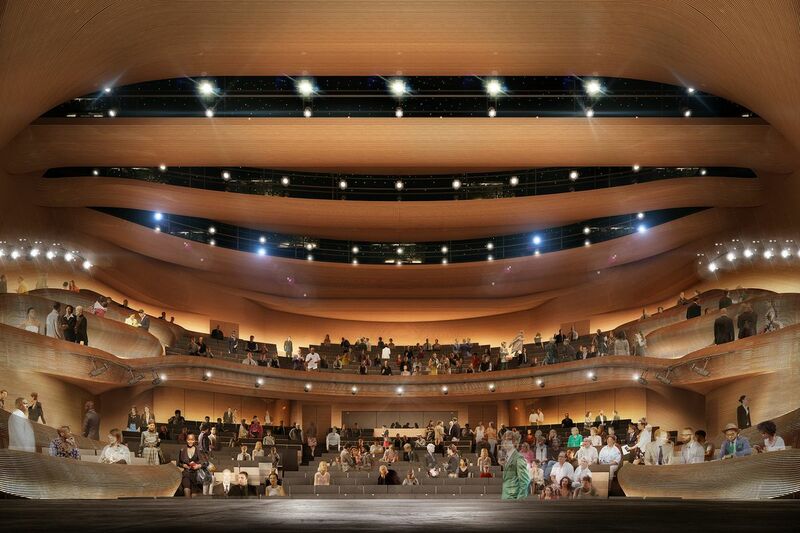 For those with a passion for performance arts, a visit to Atlanta would be incomplete without visiting the city’s national theater. Alliance Theater theater attracts over 165,000 people with premiers of over 100 original productions, making it the leading producing theater in the Southeast. In addition to their dedication to producing groundbreaking theatrical works that engage with the local community and embrace diversity, the Tony Award-winning theater also prioritizes providing students like yours with access to the arts. This commitment to youth is apparent as the theater continues to create new works specifically tailored to certain age groups which help young people have an engaging and exciting theatrical experience. In addition to the age-specific shows, the theater also provides a number of free acting workshops that will help your students improve their on-stage performance skills, whether their passion is singing, dancing or music. Over 80,000 other students have already taken advantage of these shows, workshops and classes so why not join them?